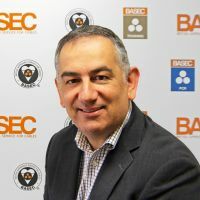 BASEC is established as a UK company, limited by guarantee which means that we have supporting members rather than shareholders. As we develop into new sectors and geographic locations we are looking to broaden our company's membership. We welcome applications from organisations who, like BASEC, have an interest in the quality and safety of the cables that are manufactured and supplied into markets worldwide. The function of members is to represent the fundamental interests of the parties participating in and benefiting from the activities of BASEC. Members are generally represented through a primary contact - a senior member of an association, a member of secretariat staff, or a business leader. Each year members have the opportunity at the AGM to review progress, vote on the annual report and accounts and to confirm appointments to the board of management. Access to up-to-date information on UK and international cable standards and schemes. Being able to input your customers’ needs into BASEC’s product approval and certification schemes. Ensuring the voice of the community you represent is being listened to. Suggesting new scheme areas to BASEC that are relevant to your needs. Receiving expert insight on the global cable industry. If you are interested in becoming a BASEC member, you can download a more detailed brochure, plus an application form below.